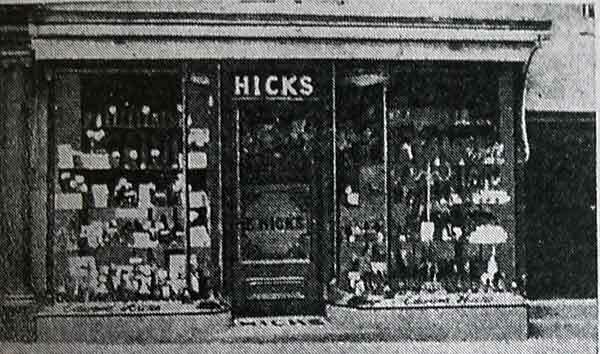 The bio of Edward Hicks | Launceston Then! Edward was born in 1856 to Edward and Wilmot Hicks at Billacott, North Petherwin which was then in Devon. His father was a agricultural labourer. After his education, Edward served an apprenticeship as a shoe maker and eventually set up his own business in High Street, Launceston (below). He married Harriet Fry of Tresmeer, in 1877 and they had one daughter, Gertrude (who would later marry John Ernest Baker). His wife Harriet passed away suddenly on October 19th, 1915 at High Street, Launceston. He was elected to the Launceston Borough Council in 1904 and was mayor from 1912 to 1916 and again, for the fifth time in 1928. 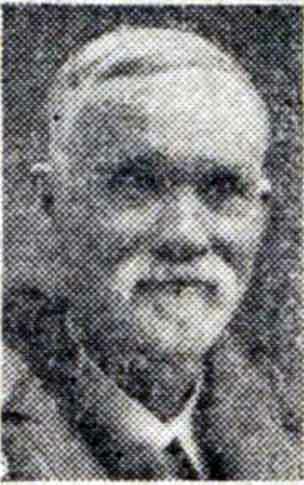 He was made a Freeman of the Borough on his retirement from the council in 1935. Edward was a committed Liberal throughout his life, holding strong radical views. 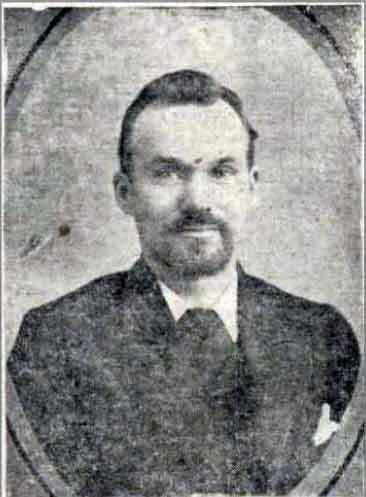 He was also a prominent Wesleyan and a member of the Free Church Council. In 1912 he was also made a magistrate and on his maiden speech spoke of the need for a scheme to erect 40 to 50 workmen’s cottages. He also suggested that in his opinion workmen were not receiving a fair wage. On his appointment as mayor in 1928 he again stated a wish for further housing, this time for the elderly and he also expressed an anxiety towards the state of the towns fire engine which was 17 years old and still required horses to pull it, a situation which had become difficult in that there were fewer horses available. He was hopeful that during his new term that the committee could come to an agreement with the rural council to update the engine. (It was to take another 7 years before a mechanised engine was bought). 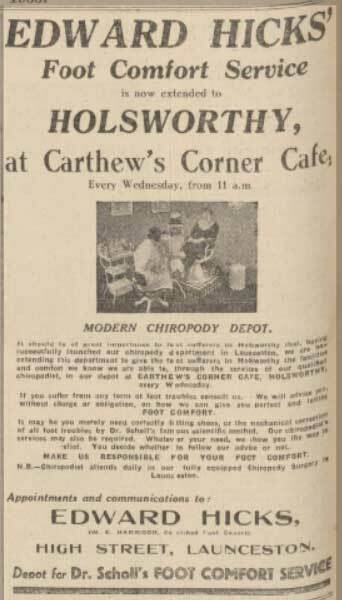 He sold his business in the early 1930’s to Mr. Harwood. Edward passed away on July 2nd, 1939 and after a service at the Wesleyan Chapel he was interred at Launceston Cemetery. 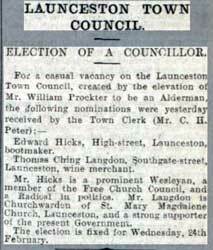 Above Edward Hicks pictured after being made mayor of Launceston for the third time in 1928.